Hackathons are great for solving software and hardware problems. So why not apply that process and energy to our broken food system? That’s the thinking behind a Hack//Meat Silicon Valley underway at Stanford University. Today through Sunday food industry leaders, entrepreneurs, technologists and creatives will team up to develop hardware and software solutions to some of the greatest challenges facing sustainable meat production and consumption. On June 23, teams will pitch their final prototypes to an expert panel of judges including Michiel Bakker of Google’s Global Food Services, Bill and Nicolette Niman of Niman Ranch & BN Ranch, Nico Hrdy of Valley Oak Investments, Amol Deshpande of Kleiner Perkins Caufield & Byers, Chris Cosentino of Incanto and Anya Fernald of Belcampo Meat Co. The event, Hack//Meat Silicon Valley, is being held at the Institute of Design at Stanford, and organized by Food+Tech Connect in partnership with Applegateand GRACE Communications Foundation. Winners will be awarded prizes representing more than $100,000 in value, including cash and consulting services from industry leaders to help them continue development of their prototypes. Teams will be coached by industry mentors such as Stephen McDonnell, CEO of Applegate and Mitchell Davis, VP of the James Beard Foundation in addition to design-thinking experts from Stanford and The Design Gym. The weekend will also feature a live butchery demo provided by Ryan Farr of 4505 Meats. During breaks, attendees will be fueled by delicious, sustainable food and drink. Amongst the offerings, Google’s Food Trucks will be serving up some of Google’s famous fare. How can the next generation of farmers meet growing demand for sustainably-produced meat? How can chefs celebrate the unique flavors of grassfed meat? How can we help producers and processors communicate and work together more efficiently? How can we make whole animal butchery more profitable through tracking? How can family farms and processors create transparency and make it easier to sell whole animals to their customers? How can we find, recruit and empower a million consumer activists to demand meat without antibiotics? 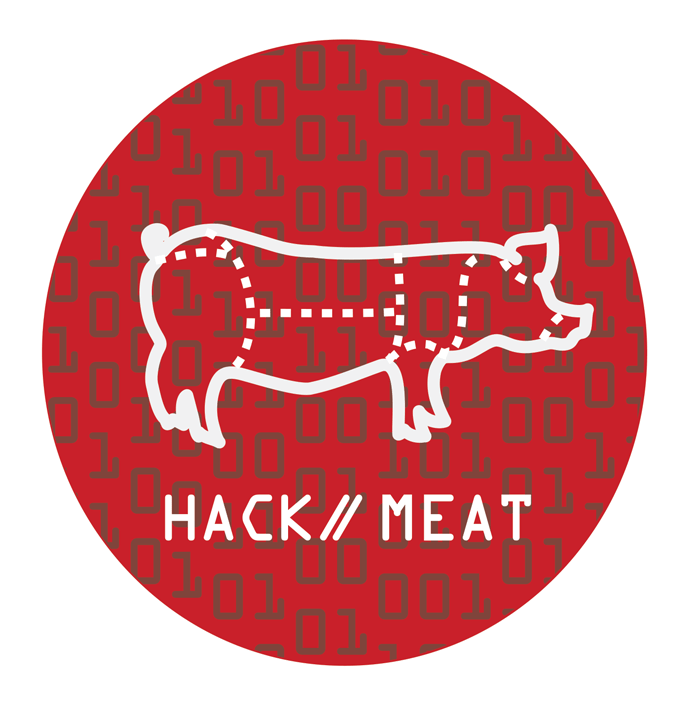 This is the second Hack//Meat Food+Tech Connect has produced in partnership with Applegate and GRACE Communications Foundation. The first event, held in New York City this past December, gathered over 150 hackers and resulted in 12 new projects, several of which are continuing development. To complement the work done at Hack//Meat Silicon Valley, Food+Tech Connect and GRACE are also presenting a series of articles highlighting industry challenges, featuring contributions from leading organizations such as NRDC and Animal Welfare Approved, as well as food and technology innovators including Joanne Wilson and Scott Cullen. GRACE has partnered with The Natural Resources Defense Council (NRDC) to challenge teams to develop a creative solution to how we can empower a million consumers to demand meat produced without non-therapeutic antibiotics. For more information and to follow up on the hackathon challenges visit Hack//Meat, Twitter (hashtag #hackmeat), or Facebook.